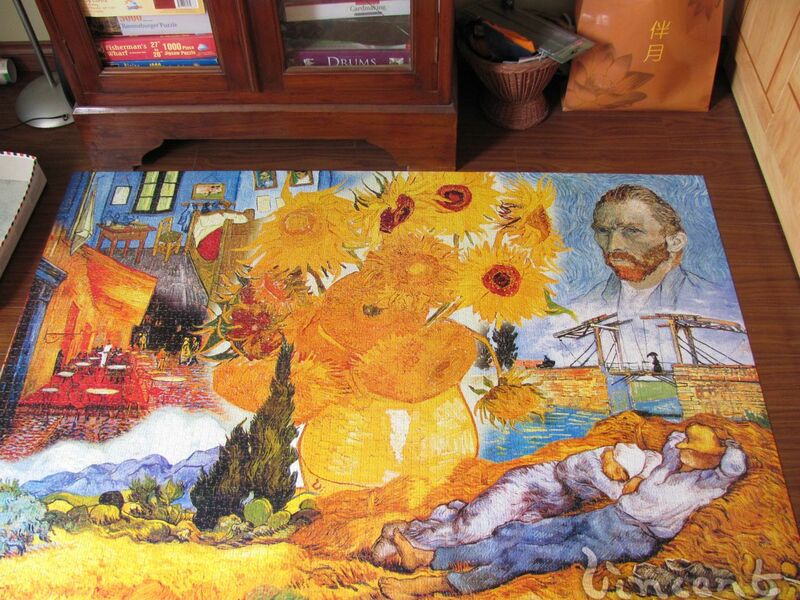 I thought I would finish the Van Gogh’s World puzzle by the middle of April, but the sunflowers made me work! There’s a fine coating of dust around it in the room, as no one was allowed to clean lest I lose some pieces. Now that it’s done, I feel a vacuum in the day! Guess I’ll arrange all the books in the bookcase, and dust and mop and reach those spots that I couldn’t for a month and a half. Ummm, maybe let the sunflowers brighten up the room for a few more days, huh?